I am ashamed to admit that this morning I was so furious that I gathered my children and left in the middle of the church service. I’ve never done that before because I love church with all my heart and soul. But today I just didn’t have the energy to clock in all the work that was required in a family-integrated church. My husband wasn’t there because he was in the Czech Republic on a missions trip, so that also factored in. The fact that my children are completely self-controlled for an hour and a half is a miracle in itself if you understood the energetic nature of my children. This is one of the benefits of family-integrated churches. If the children can be completely silent and self-controlled for a full hour and a half during a church service, they are capable of being self-controlled in any circumstance. It is a good character quality to have at any age. Another benefit of having a family-integrated church is that there is no negative peer pressure. Peer age segregation that happens in the schools is one reason many people homeschool their children. Sunday schools, and especially youth groups, have worldly conversation, and most youth groups have teenagers who are sleeping around, smoking, and rebellious to parents. The attitudes rub off on the other teenagers, who are then no better off than if they had gone to school. Families also learn from the same passage in Scripture. There is a more mature message, and if your children are truly saved, many of them can have steak to eat spiritually instead of watery milk that is served in many Sunday schools. Then there is the fact that many Sunday school teachers aren’t screened very well. I’m not just talking about sexual molestation. (This actually happened at one church I attended.) I’m also talking about the fact that most teachers don’t know the Word of God at a level where they should be teaching. For example, when I was a child, my Sunday school teacher told me that Jesus sinned when He didn’t go with His parents when He was twelve. (He was at the temple instead.) The teacher told me this was the only time Jesus ever sinned. At the time I knew this was ludicrous, but I respected authority and didn’t speak up. I think I might have been six years old at the time. Nobody cares who teaches your children. Since they’re not paid, a church is happy if someone (anyone) volunteers. So I find myself in a family-integrated church, and I’m really grateful, and I love all the people here so deeply. But sometimes I find myself wishing for a break, where I can be completely refreshed because I have no responsibilities next to me. I get so much more out of the sermon when my children are sick at home. (My spouse and I take turns going to church if the children are sick). And even though I teach my children the Bible at home, I find myself wishing that the children could learn a Bible lesson on their own level instead of being forced to sit through a boring (because it is above-their-heads) sermon that goes on and on (since time is perceived differently with young children). It’s possible that if children sit through so many tiresome sermons, it might be ingrained in their minds that they never want to go to church again when they are out on their own. Why endure that when it can be avoided? So their love for church might not endure in such circumstances. I always try to alleviate this problem by allowing the children to have clipboards with paper and a pencil so that they can doodle, and the time goes by faster. 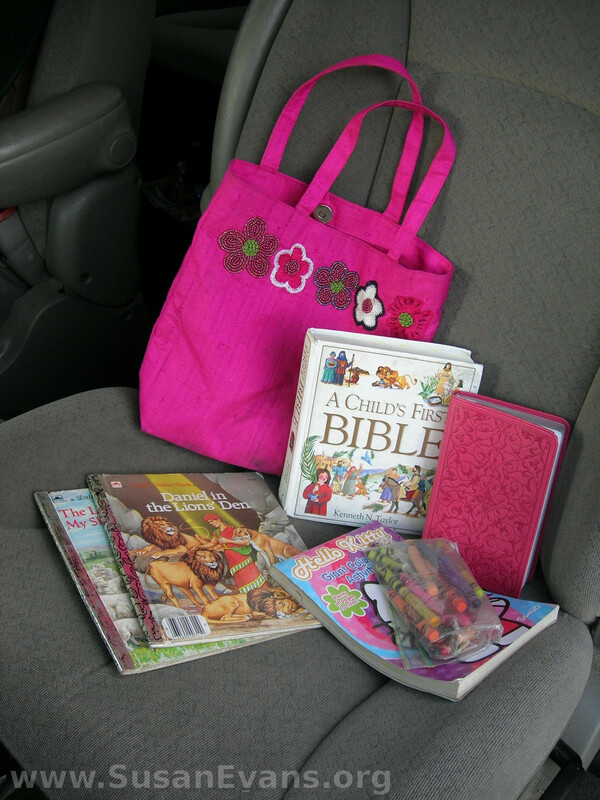 For my toddlers and preschoolers, I always had a bag of goodies that included crayons, a small coloring book, picture books about God, and a story Bible. So what happened this morning? My sons got the giggles. They were distracting people away from the sermon. Something they were drawing was hilarious. I saw it, and if we were at home, I would have laughed, too. The drawing was of a camping scene with lots of mayhem happening. But my boys just wouldn’t stop laughing. Another son started drawing a hilarious camping scene also, and I calmly took away his clipboard. That son burst into tears because he wasn’t finished with the drawing. I whispered for him to stop crying, but he cried on and on. People were looking over at us, wondering what on earth was going on. I finally was so exhausted by trying to control my children that I whispered that we were leaving. We all walked out. When we pulled into the driveway, I was fully aware that I had sinned and was ruled by my flesh and not the Spirit. If I wasn’t clued in, I should have noticed when the kids were wailing. I asked God to forgive me. I felt remorse. I had commended my daughter, who had done a good job during the sermon. As the children changed out of their church clothes, I went to each of my sons, one by one, to ask forgiveness. Each of them said they were sorry for the way they had acted. We hugged. This entry was posted on Sunday, July 4th, 2010 at 11:49 am	and is filed under Church. You can follow any responses to this entry through the RSS 2.0 feed. You can skip to the end and leave a response. Pinging is currently not allowed. We went to a family integrated church for almost a decade. My kids can sit through anything. I remember those few times when the kids were less than stellar. I think that is how God intended church to be in the first place. We go to a place now with a children’s ministry that I totally love and we are leaders in the youth ministry. That way we are still very close to where the kids are. I know a lot of people who are fiercely against any church that is not family-integrated. God can work through His people in any church that preaches the Word and loves the Lord, though. I understand your frustrations with the situation, however I disagree with a couple of your points. First, just because you had a bad experience with a Sunday school teacher doesn’t mean that all are unqualified. I was a children’s minister for ten years. I loved it! I paid thousands of dollars of my own money to obtain training from professionals all over the United States. I attended conferences in states as far away as CA and PA. I went to puppetry conferences, children’s pastor conferences, curriculum conferences… I read everything I could find online about children’s ministry and how to minister to the 21st century child. I did all of this because I love working with children. I want them to know Jesus. I have this calling deeply ingrained in my very being! I was not a professional teacher. I was a social worker by trade. Because of my years in ministry, I even went back to university in order to obtain a teaching certificate so that I would be a better children’s minister. I was not paid for my work in the church. I was a volunteer. For 10 years, I showed up every Sunday and Wednesday to teach my kiddos. I was dependable and reliable. It was not easy. I dealt with kids who had problems. I had kids who were in abusive homes. I had poverty level inner city kids and middle class suburban kids. At times, I even had multiple grades together because a teacher didn’t come that morning for whatever reason. Our other teachers were qualified as well. I was very picky about who I allowed to teach in the program. Many people were upset with me because they didn’t meet the standards that I had set. I didn’t allow anyone to teach who had a bad background with child welfare (I was a social worker, so I could check for free). If someone had a negative attitude, they were passed over. Anyone who was new to the church or young in their faith did not get a lead teacher role. If they were unwilling to study the material and know it well, they did not stay in the position. I held regular once a month training times on Saturdays. Anyone who missed training had to have a good reason. I did make up training individually. I know that sounds harsh, but people trusted their children to us for that time every week. And God commands us to diligently teach His word to the next generation. I and many others like me work very hard to make sure the next generation is strong in faith. We spend our own money. We give of our time. We pray for your children every day. Some of us even attend events that your child is in outside of church. 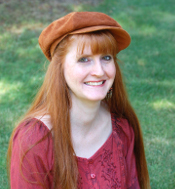 I regularly went to school plays, soccer games, and community events that “my” kids were in. It is not uncommon to find your child’s teacher at Walmart at 11:00 P.M. on Saturday because they are still working on tomorrow’s lesson and needed a craft item or an object lesson. Perhaps there are a few churches out there that don’t care, but most churches hire professional staff now because they understand that children need the best chance possible to grow up in faith. If it is a volunteer position like mine was, they don’t just stick anyone in there. Most churches look for people with integrity, dependability, and some common sense as well as knowledge of the Bible. I’m sorry you had a bad experience, but times have changed and churches realize the tremendous need for highly qualified children’s ministry teams. Wow! It sounds like you were a wonderful Sunday School teacher! I would love to hand my kids over to a teacher like you! You were prepared, you were not young in your faith, you cared about the kids, and you selflessly gave of yourself. Thank you for your work. I wish all the child workers were like you. Most churches don’t even run a background check. I am so glad this showed up in my FB feed today. We had this happen last night. We have 5 kids under 6yrs and last night 3 of them were not practicing obedience during the service. Usually a time in the cry room to remind them how we behave and we are set, but last night was not like that. I don’t think that our church intended to be a “family integrated church”, but when we were the only ones with kids for 2 years what do you do?We have noticed that they are able to sit through things a lot better now, outside of church though, and I agree that times when someone has been volunteering because our pastor deemed the topic something best left for teens and above it is nice to have a break.